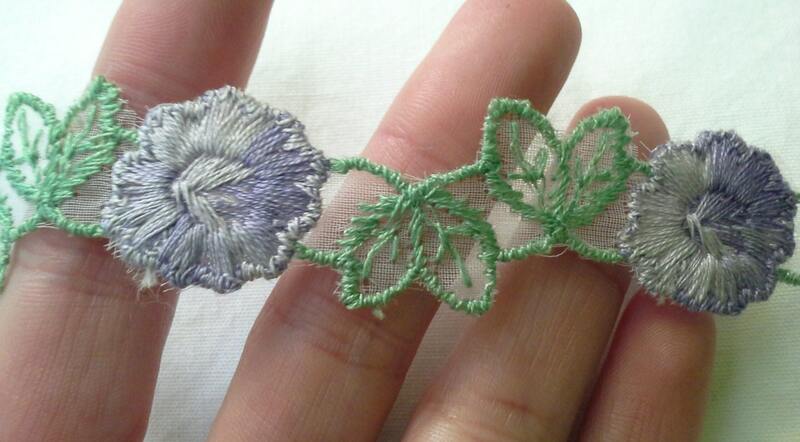 This vintage trim features alternating lavender flowers and green leaves. 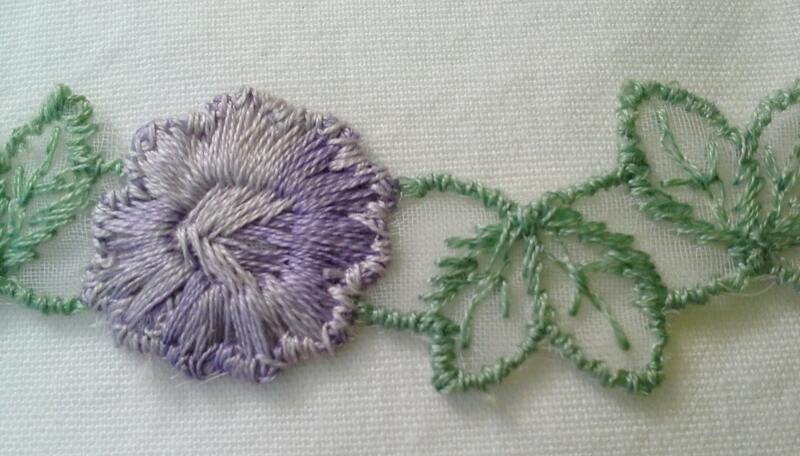 The lavender flowers are embroidered in variegated thread. The flowers and leaves are embroidered over a fine netting which allows the background fabric to show through. Please zoom in the photos to see the details! I believe that this trim is made of synthetic materials. This trim would be a beautiful addition to any girl's dress or hair piece. It would be wonderful for a flower girl's dress or a woodland fairy costume! It can also be used for crafts. The flowers are .75 inches (1.9cm) wide and the leaves are 0.5 inches (1.3cm) wide.